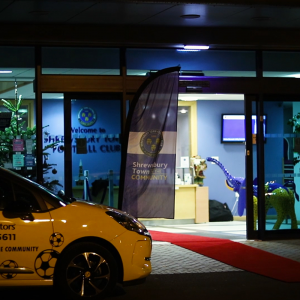 Taking Shrewsbury Town into the heart of the community Play Our Video. 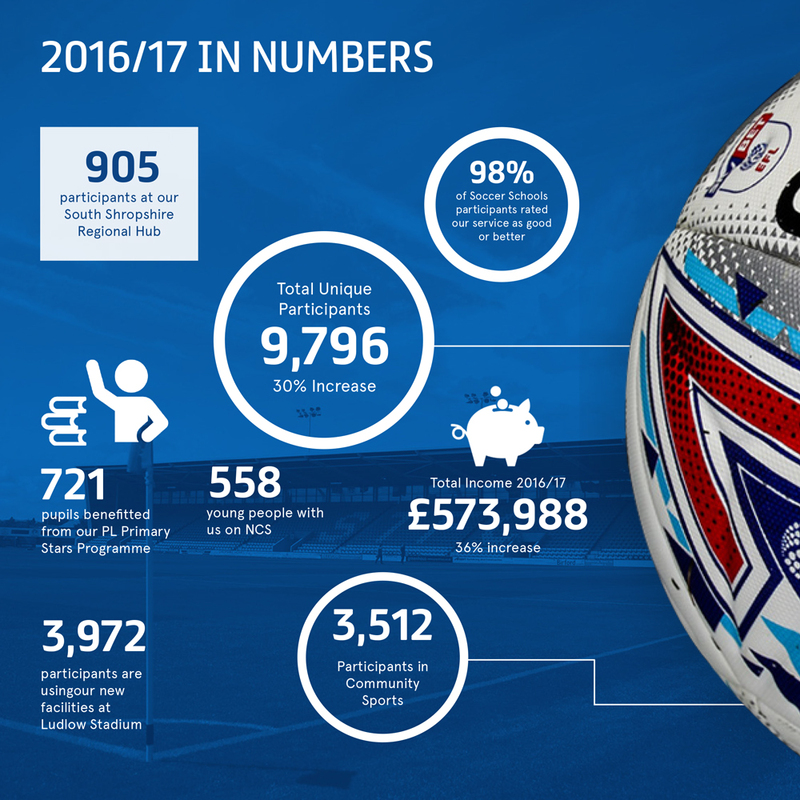 Over the past 12 months, we have seen a 30% rise in our total unique participants, with us now providing programmes to over 9750 participants. During this period we have opened a new South Shropshire Facility in Ludlow, which has accommodated nearly 4000 participants during its time in operation. The start of the 2017/18 season saw the rebrand of Shrewsability, which takes place on Monday evenings between 5 and 6pm. 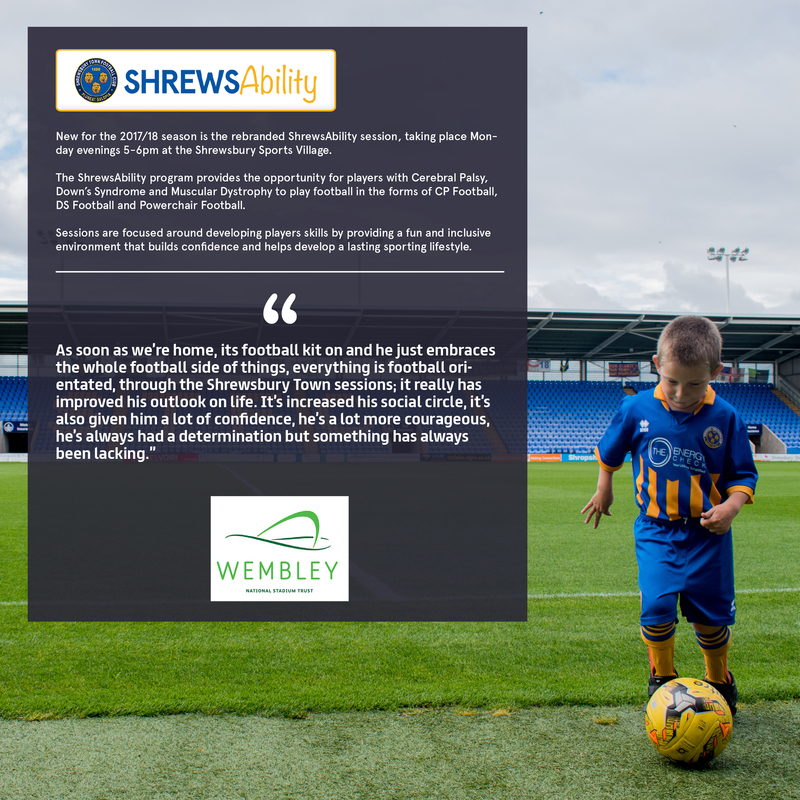 The ShrewsAbility programme provides the opportunity for players with Cerebal Palsy, Down’s Syndrome and Muscular Dystrophy to play football in the forms of CP Football, DS Football and Powerchair Football. 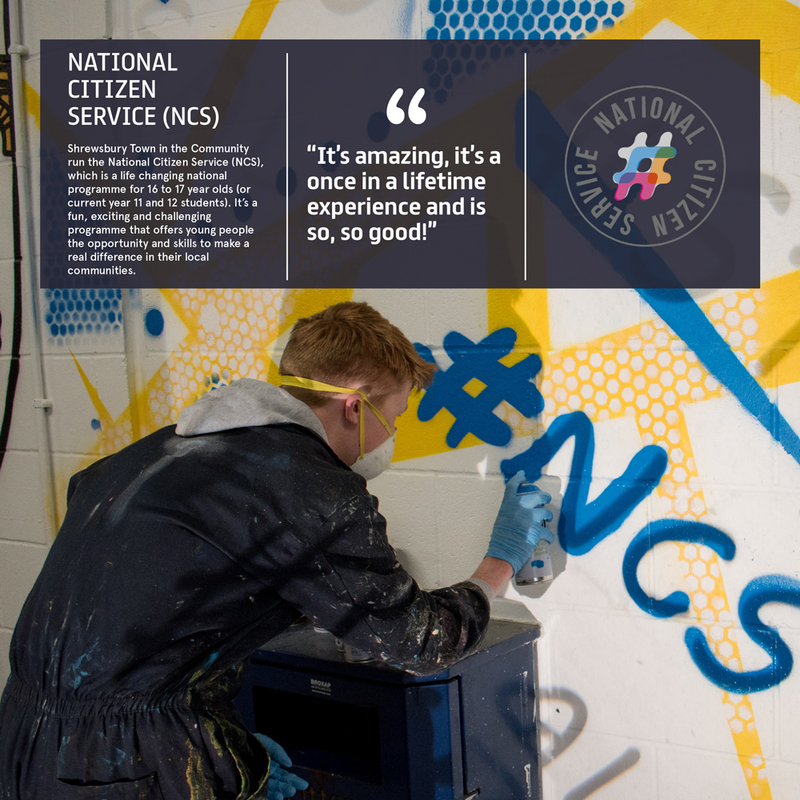 Shrewsbury Town in the Community run the National Citizen Service (NCS), which is a life changing programme national programme for 16 to 17 year olds (or current year 11 and 12 students). It’s a fun, exciting and challenging programme that offers young people the opportunity and skills to make a real difference in their local community. Local school children can now get in on the Premier League action as Shrewsbury Town in the Community proudly deliver the Premier League Primary Stars programme, which aims to engage and inspire boys and girls aged 5-11 years old. 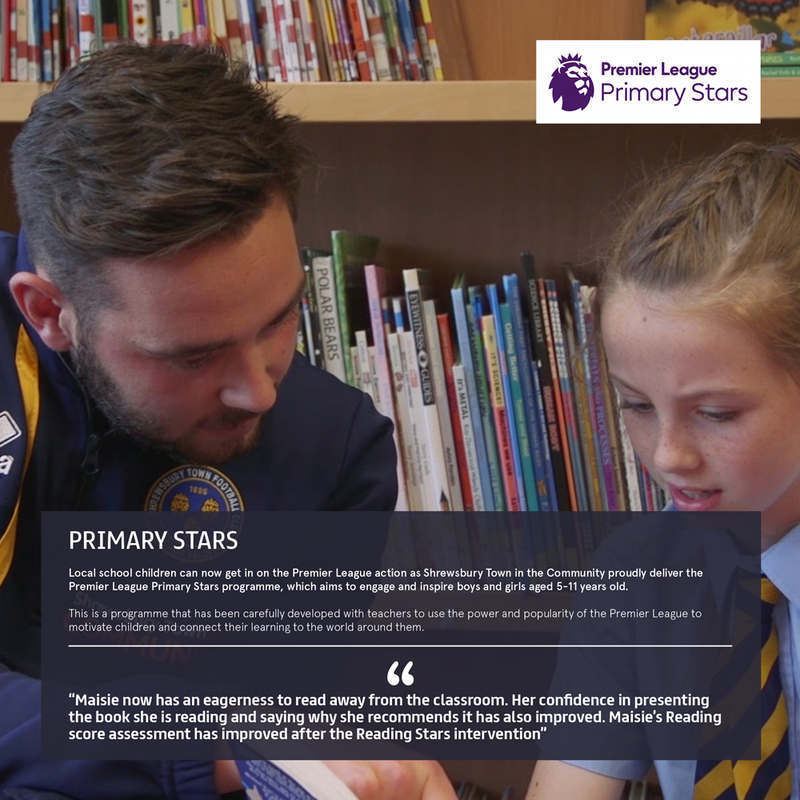 This is a programme that has been carefully developed with teachers to use the power and popularity of the Premier League to motivate children and connect their learning to the world around them. 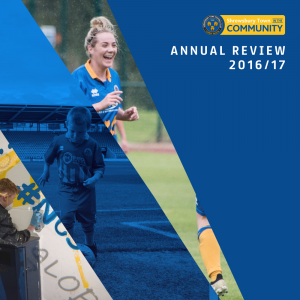 Shrewsbury Town in the Community offer the chance to gain industry recognised coaching awards whilst being affiliated to a professional football club through our Foundation Degree. Our course is designed in partnership with the Football League Trust, and done through the University of South Wales with students being based at Shrewsbury Town Football Club. It is here you will be able to study all sub-disciplines of coaching on top of your coaching qualifications. 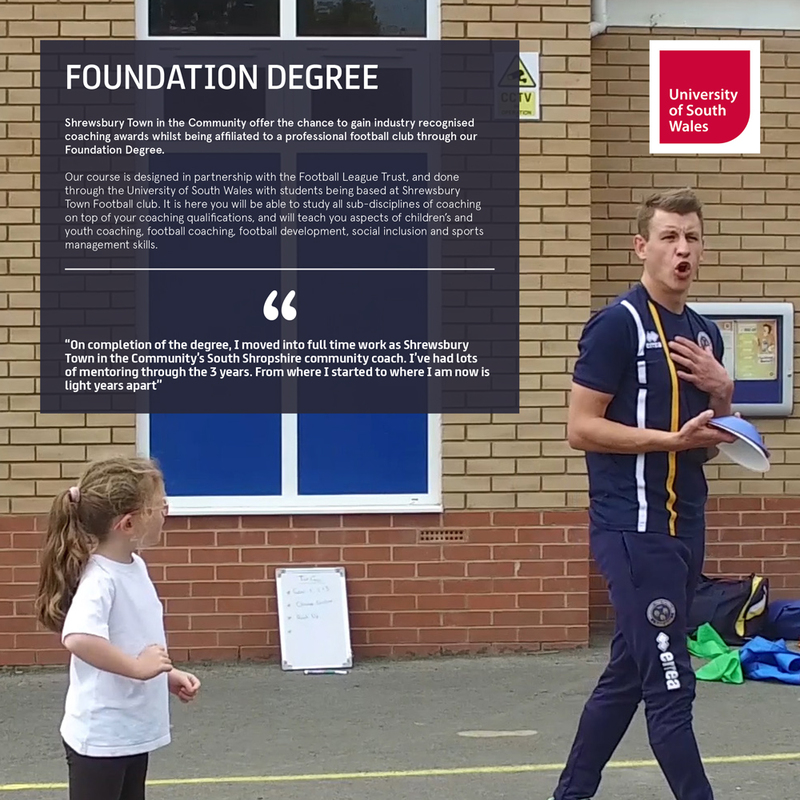 Click the image to watch our case study of Mark, who is now one of our south Shropshire coaches after completing the Foundation Degree. Our BTEC Level Three Extended Diploma in Football and Education Programme will provide you with the chance to gain coaching qualifications, represent Shrewsbury Town Football Club in a National Development League and will prepare you for your next move. We aim to utilise the power of sport to engage, inspire and strengthen our local community. Whether you are a business with a corporate social responsibility agenda or you are an individual that wants to give back to your community we have opportunities for you. 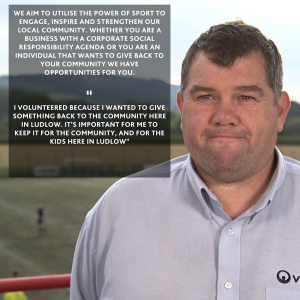 Click the image to watch our case study of Kevin, one of our volunteers, who helps out at our new South Shropshire hub in Ludlow, helping us to enable access to everyone all day.